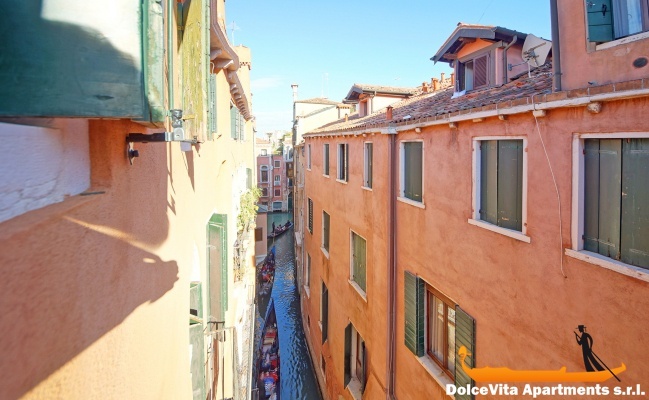 Apartment N. 362: It can accommodate up to 2 people, it is rented from 225 € per Night (not per person). 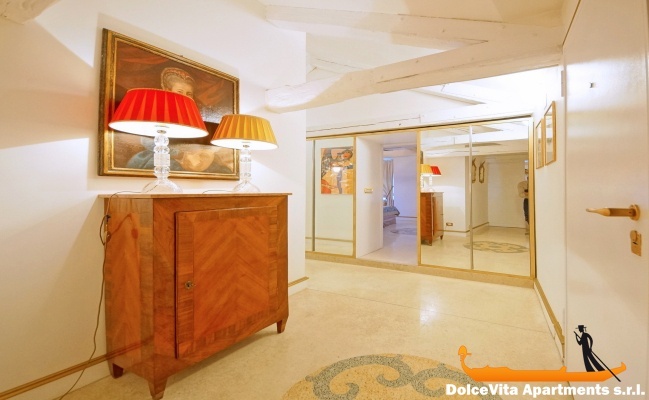 Luxury Apartment in Venice with Canal View Gondole: Refined and luxurious apartment situated in the city centre of Venice, in the Sestriere of San Marco (namely, district of San Marco). 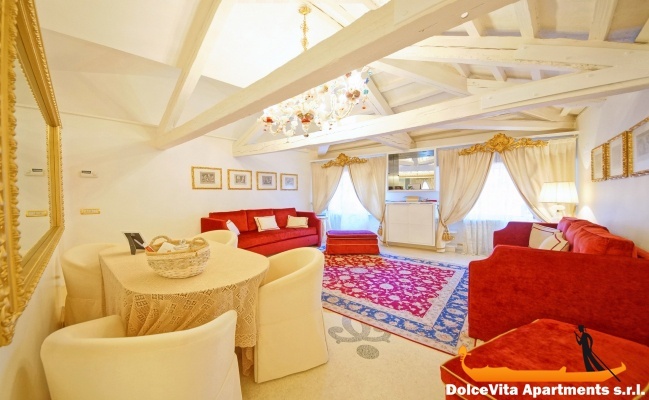 This authentic love nest consists of a living room, a kitchen, a double bedroom and a bathroom with tub. 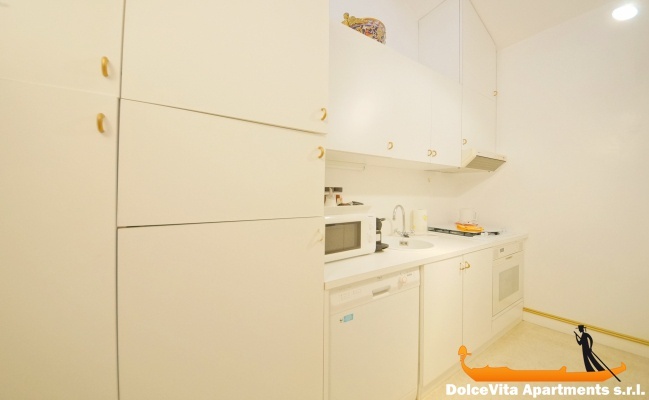 This apartment can accommodate a maximum of 2 people. 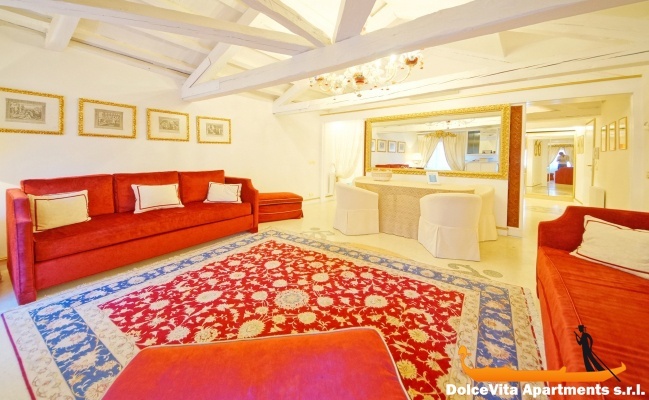 Carefully furnished, the apartment appears rather cosy and boasts a significant view on the underlying canal. 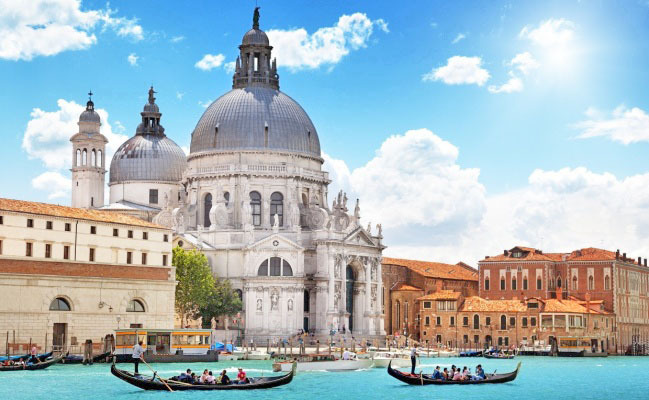 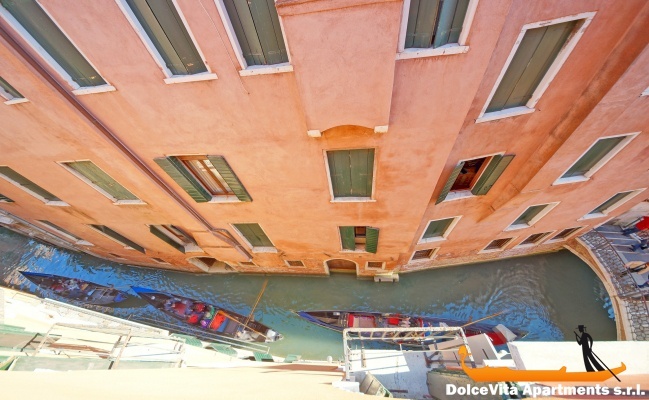 All it takes is a look out the window to enjoy the typical Venetian gondolas. 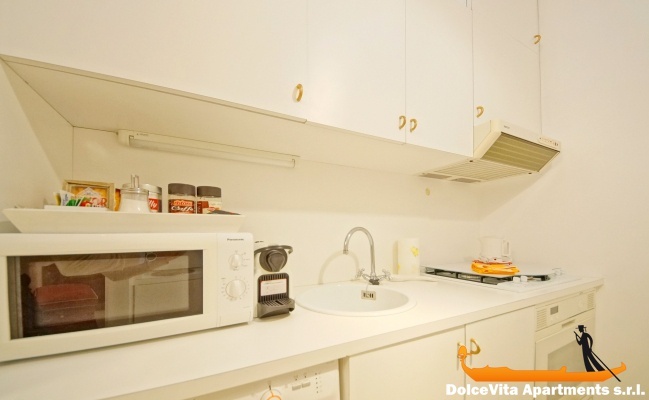 Moreover, the kitchen is well equipped with oven, microwave, kettle and dishwasher. 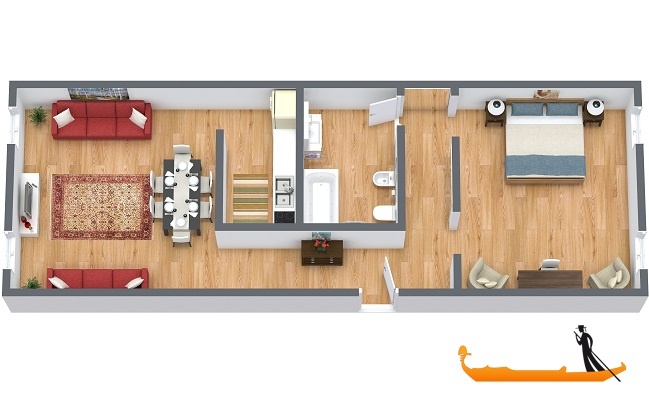 The apartment features also air conditioning, TV, Wi-Fi connection and heating system. 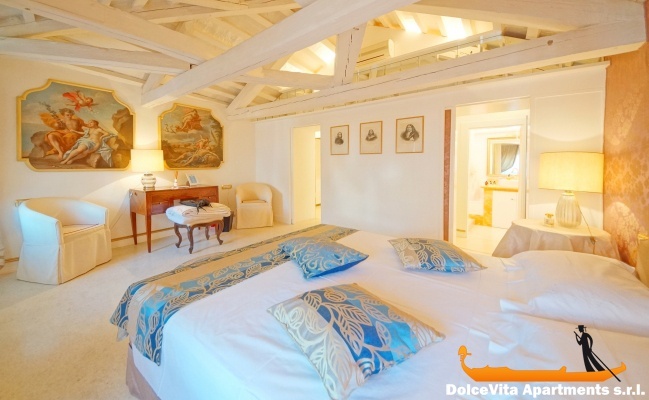 Guests are provided with clean bed sheets, towels and blankets. 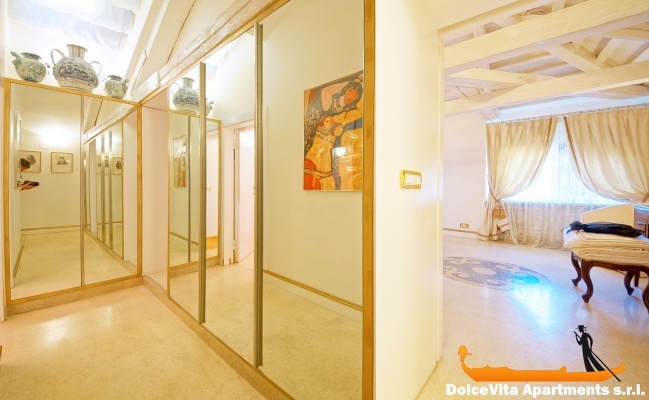 The building is located in the heart of the city: as a matter of fact, it is within easy reach of San Mark’s Square (5 minutes’ walk) and 50 meters away from the famous “Teatro La Fenice”. 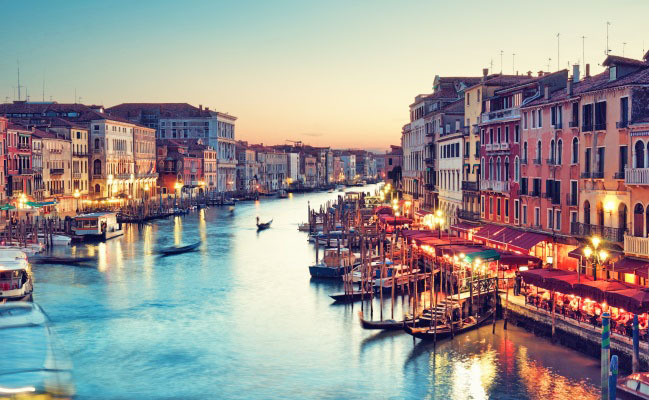 The Rialto Bridge can be reached in about 10 minutes. 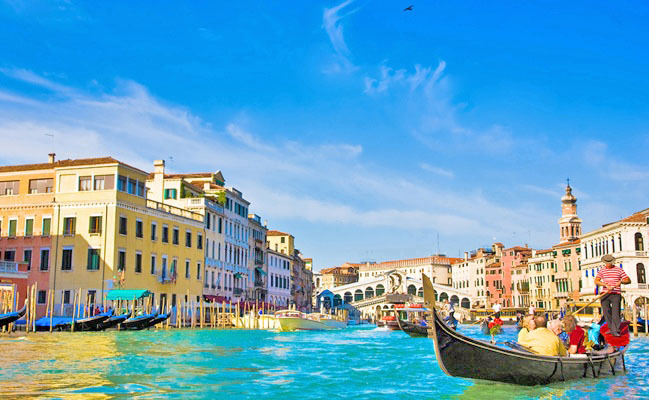 In addition, from this well-served area you can easily walk to several shops, bars and restaurants.